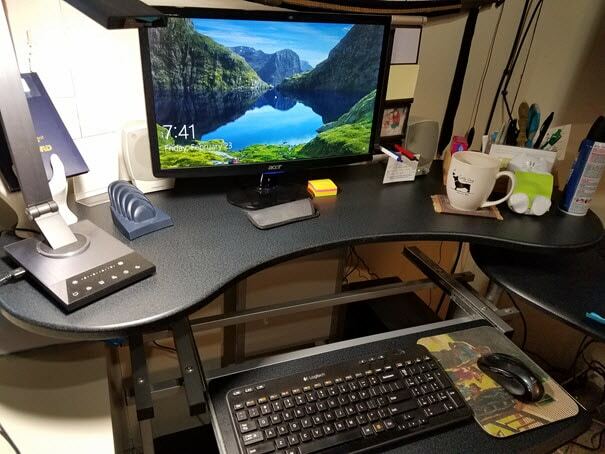 In this article about staying healthy in the office ergonomically, I wrote about different areas of your body when it comes to sitting at a desk throughout the day. One area in particular is the computer screen and eye level which is an important consideration when it comes to ergonomics. In that article I wrote that your computer screen should be at eye level or slightly lower in order to prevent any straining whatsoever. 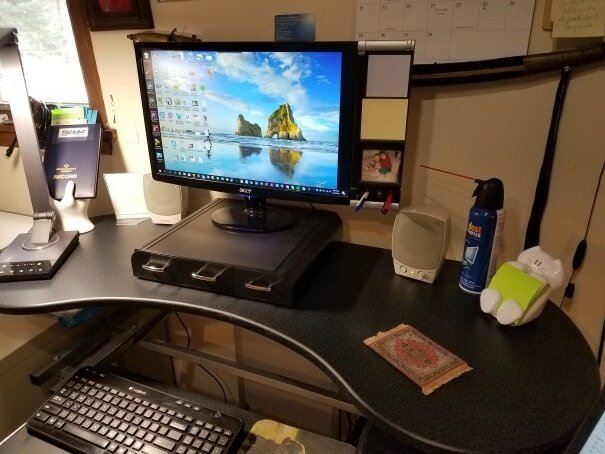 In my cubicle at work I use this monitor cubicle hanger and it is perfectly positioned at the right height for my eyes. 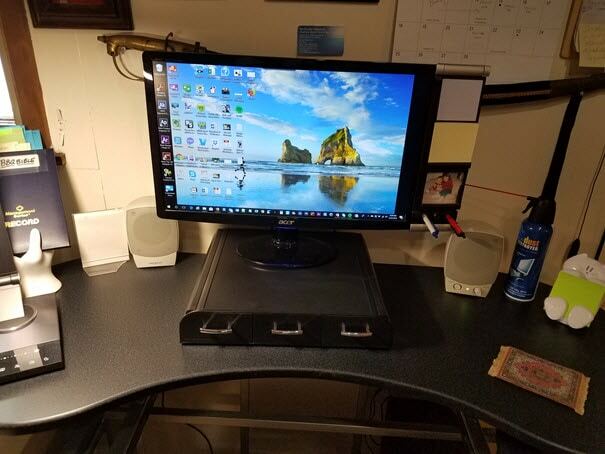 But, since I now work a little more from home, I realized that my home office computer monitor was a bit lower than it should be. 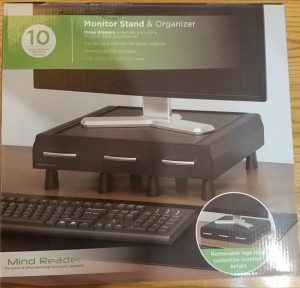 So I started researching monitor stands and I found the Mind Reader Perch Monitor Stand which you can see above. 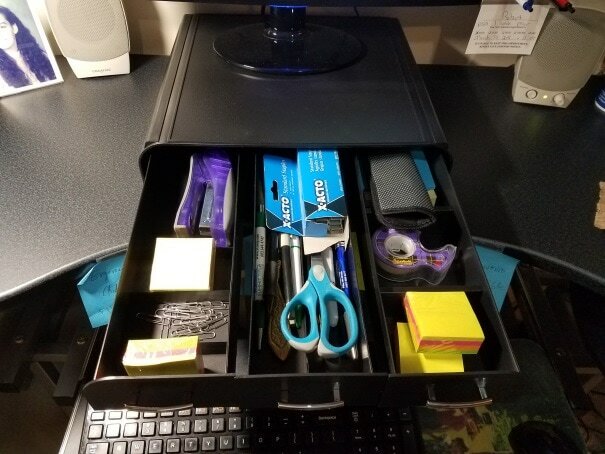 I thought that not only would it raise my monitor a couple of inches but it would also allow me to store desktop items out of sight. 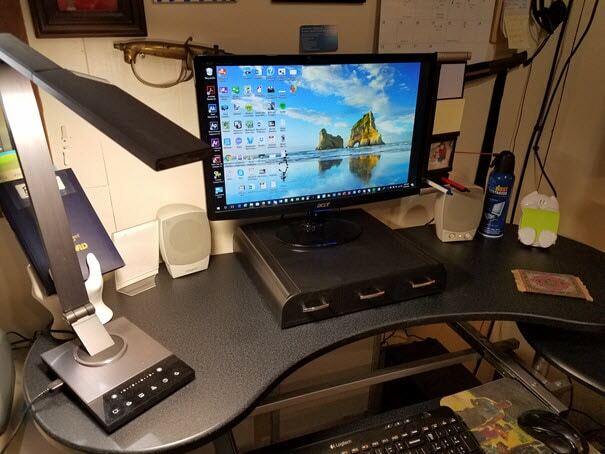 Check out the youTube video below of me setting it up in my home office. My home office desktop was a bit overcrowded, as you'll see below and in the video above, so I thought that the Mind Reader Perch Monitor Stand would be an excellent addition to my home office. 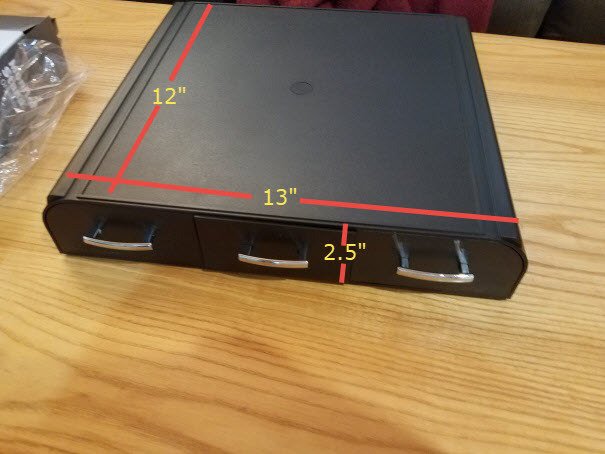 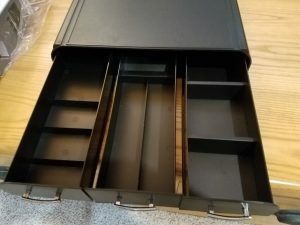 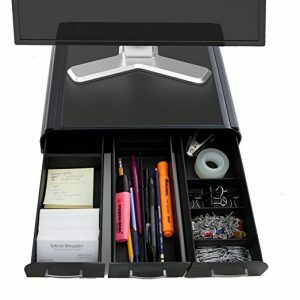 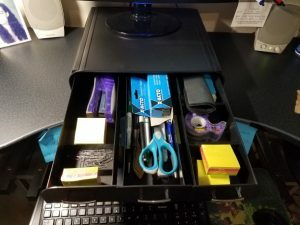 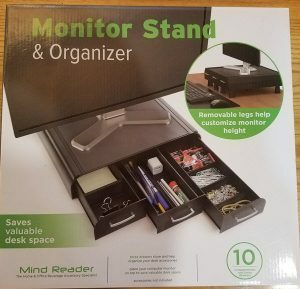 There are so many different types of monitor stands out there but this one would allow me to store items in 3 small drawers that came out from the unit. I also liked the fact that those drawers are covered so it keeps the small items out of sight when not needed. If you too could use a boost of your monitor and clear off your desktop at the same time, you should seriously consider this reasonably-priced ($15) Mind Reader Perch Monitor Stand and Desk Organizer. 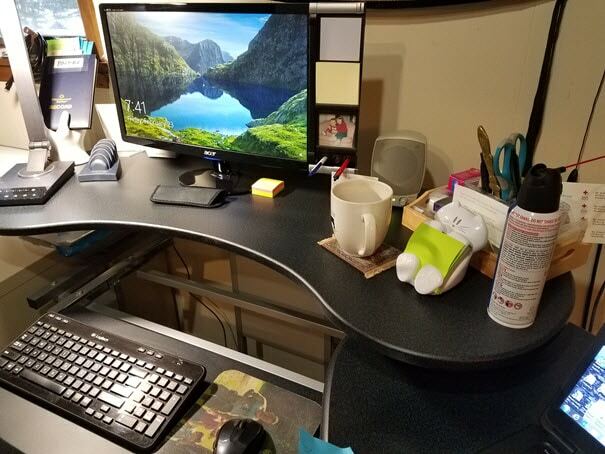 Mine has certainly cleaned up my act in my home office and any office or cubicle could certainly be enhanced with this innovative product. 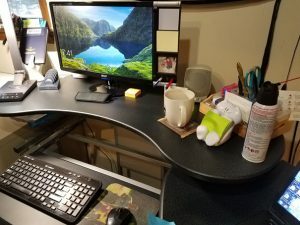 If you have any questions or comments please leave them below or contact me directly via my Contact Me page.